This ice box dates from around 1900 before refrigerators, signed "Alaska." 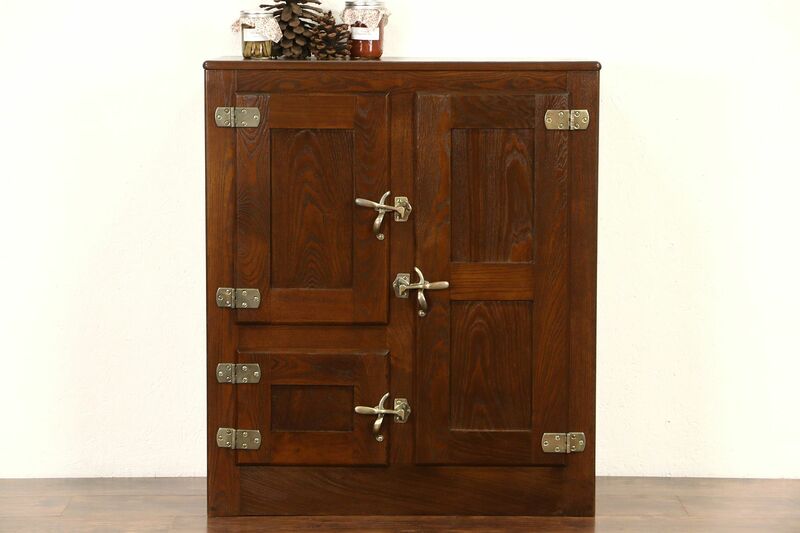 A block of ice kept food cold in this American made antique pantry furniture. The restored finish is in excellent condition on solid oak. Brass and nickel hardware and the tin interior lining are original. Size is 32" wide, 16" deep and 37" tall.